Hi it’s Michael here – do you have an Apple or Microsoft computer in the house? Posted byTrefor Davies Monday, 2 November, 2015 Monday, 2 November, 2015 Leave a comment on Hi it’s Michael here – do you have an Apple or Microsoft computer in the house? I was thrilled to answer the home phone this morning to find it was Michael at the other end. I’m sure it was Michael though it did take him a couple of goes to get his own name right. He wasn’t your average Michael. He sounded very sub-continental, if you get my drift. I had just come in from doing mellow fruitfulness stuff in the back garden and had to race to answer the (SNOM DECT SIP) phone before it rang off so I wasn’t totally on the ball meself. I did answer the phone with my right name though, I think. Mike got straight to the point. Actually I’m not sure that he calls himself Mike but I didn’t get that far in relationship building in our short time together but that is by the by. Anyway Mike informed me that he was ringing regarding the Microsoft or Apple PC in the house. I asked him how to could tell the differenced and how he knew it was either Microsoft or Apple. He said most people had either Microsoft of Apple PCS. Now the frustrating thing about our very short lived conversation is that Mickey didn’t hang around long enough for me to tell him I didn’t use either but was a Chromebook aficionado. Before I knew it click, he was gone. V disappointing. I was just in the right mood for a long conversation about the fact that my PC had a virus or simlar. Never mind. Mick had a dirty target to reach and couldn’t waste time chatting with me about the pros and cons of browser based operating systems versus the old fashioned stuff. With an element of sadness, nay mellowness in keeping with the season, I put the handset back in its cradle. 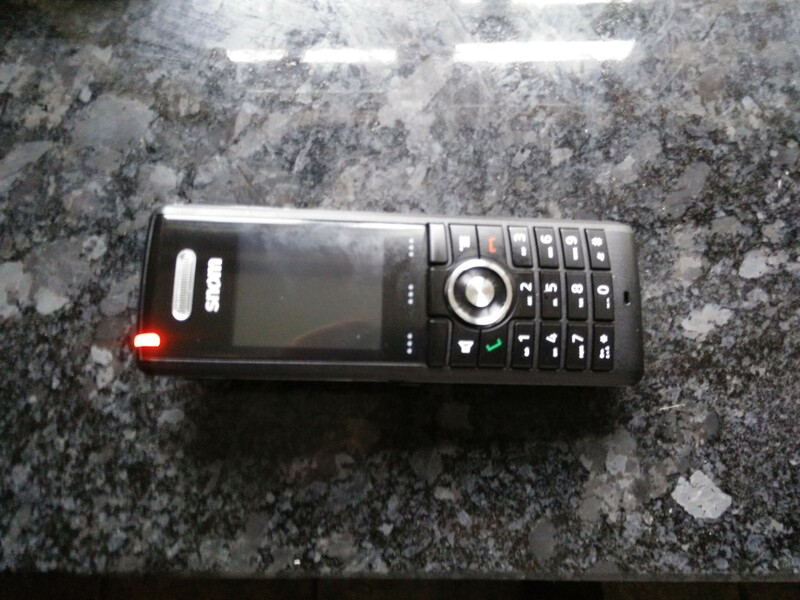 The featured image btw is a snom dect handset on a background of black granite. V artistic I thought although the handset itself didn’t come out in perfect focus as I kept taking pics to try and get the red led in shot – at least I got that bit. Adds a bit of colour don’t you think?